The seaside seemed like an obvious theme for the Brighton Food Society's most recent culinary shindig, which saw us put on a five-course 'Beyond the Pier' meal for 40 people during the Brighton and Hove Food and Drink Festival. It meant we could plunder Sussex waters for fish and seafood and take inspiration from the junk food served on Brighton pier. It also gave us the chance to mess about with inflatable dolphins and our own crazy golf course as we took over the Brighthelm Centre for the evening. The only tricky bit was coming up with a coastal cheeseboard, but with a bit of help from Paxton & Whitfield, we managed to put together a pretty decent selection. During the summer the Reade family's cows graze on peaty pastures close to the sea on the beautifully rugged Isle of Mull, which helps lend the cheese a salty tang. 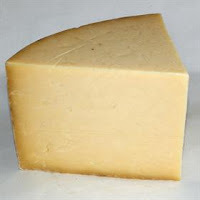 The cheese we had on the night was quite pale in colour and had a strong fruity, almost fermented flavour, which suggests it might actually have been made with winter milk. This is when the cows are brought inside and fed on a diet of silage and spent grain husks – called draff - from the whisky distillery at Tobermory, which lends the cheese a yeasty sharpness. 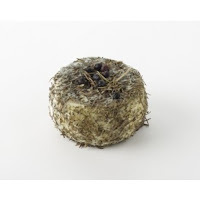 Another island cheese, made with ewe's milk in the Bastia region of Corsica and coated in dried herbs, juniper berries and sweet bird's chillies, which the sheep feed on as they wander the rugged terrain. It's a semi-soft sweet and nutty cheese with quite intense aromatic and spicy flavours from the herbs. 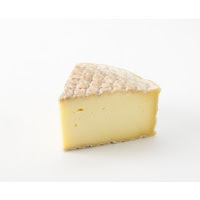 This washed rind cheese is made on a 250 acre coastal farm in West Cork with the Atlantic Ocean bordering one boundary and Mount Gabriel to the North, sheltering the pasture where Gubbeen's herd of cows graze during the summer. Made by Tom and Giana Ferguson, Gubbeen is a very mellow washed rind cheese Gubbeen, which has nice fresh dairy flavours and smooth texture. Paxton and Whitfield reckon it could almost be described as an Irish Reblochon. Finding a coastal blue proved to be a bit tricky, so we ended up plumping for this buttery delicate blue, which is made in Upton Cross, near Liskeard, about 10-15 miles from the coast. The high rainfall, mild climate and relatively high humidity provide a nice environment for maturing blue. 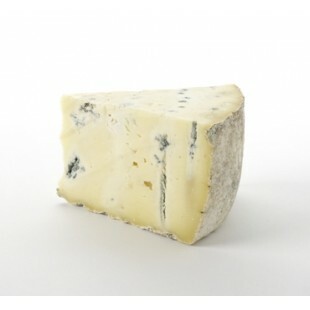 Philip and Carol Stansfield mature Cornish blue for 12-14 weeks and in 2010 it was named Supreme Champion at the World Cheese Awards. Chatting to guests afterwards, the Isle of Mull and the Fleur de Maquis seemed to be most people's favourites. I definitely, thought the Isle of Mull was the stand out of the night. Really intense and complex with an almost alcoholic kick to it.